The Lille Langebro is being built to relieve a nearby bridge, Langebro, which is used by more than 40,000 cyclists on weekdays. As many as 3,000 pedestrians and 10,000 cyclists are expected to use the new bridge on a daily basis. 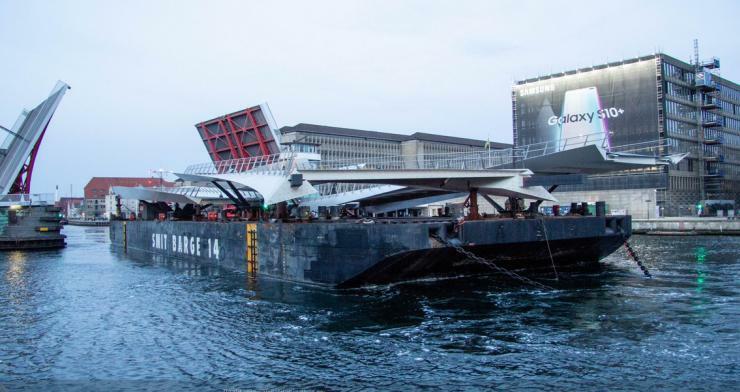 The bridge is being developed as a gift to the Danish capital by Realdania, a philanthropic association that seeks to improve quality of life through the built environment. The bridge has been designed by Buro Happold, Wilkinson Eyre and Eadon Consulting. 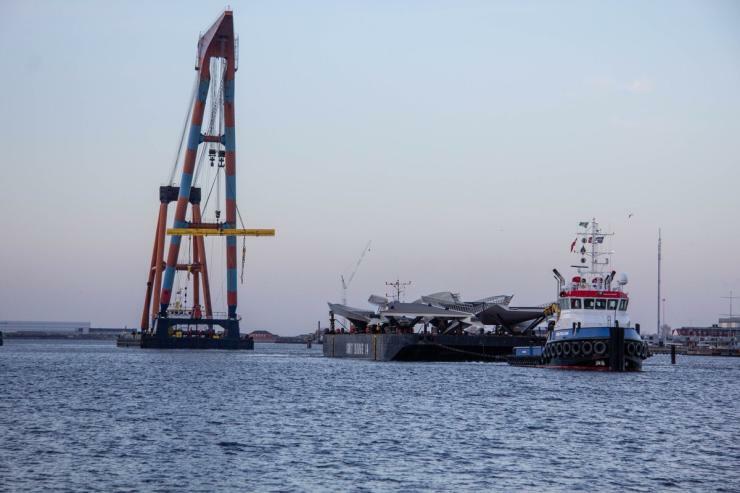 It is being built by Mobilis Danmark and Hollandia Infra. The double-opening swing bridge is curved in plan, and incorporates a cycle way and a footpath. A key feature of the design is the moment connection. The opening and closing mechanism consists of two horizontally rotating elements, mounted on slewing rings, which when closed fit together seamlessly. The team then designed a series of mechanical components that form the structural moment connection that locks the two moveable parts together. Buro Happold said that this is imperative to achieving the architectural intent, as it avoids the need to raise the height of the bridge over the supports, allowing the structural depth to be kept to a minimum so that users can enjoy views across the harbour. It is expected to open in autumn this year.